Talk to representatives from charitable nonprofits who will be on hand to share information about their work as well as volunteer opportunities. 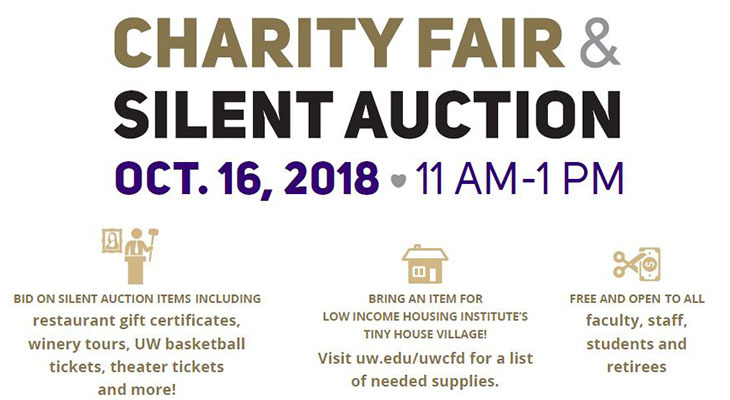 Bid on silent auction items benefiting Summit Assistance Dogs, enter to win door prizes, and enjoy refreshments. Take a break! Enjoy refreshments and giveaways while learning about nearly 90 nonprofit organizations that benefit from the UW Combined Fund Drive. Visit with more than 80 nonprofits – including some adorable animals! The fair is free and open to faculty, staff, students, and retirees, and conveniently located in the HUB. Drop by at your convenience or use these links to search for charities and donate today.